A profile I wrote on Greg Long for The New York Times. Click for the full article. 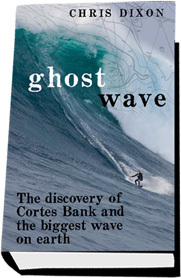 I traveled with Greg Long, Kelly Slater and a posse of hellmen out to the Cortes Bank in December. A highlight moment of my life. The result was the first paddle surfing mission to the most dangerous wave on earth and the following story in the Surfer's Journal: High Noon at Bishop Rock. Click for the full article (.pdf). It was the most intense surf big-wave riders had ever seen, with record swells from Hawaii to California. But for Peter Davi, a paddle-surfing traditionalist amid a rising tide of tow-in surfers, it would be his last. Click for the full article (.pdf). The story that provided the spark for this book. Click for the full article.